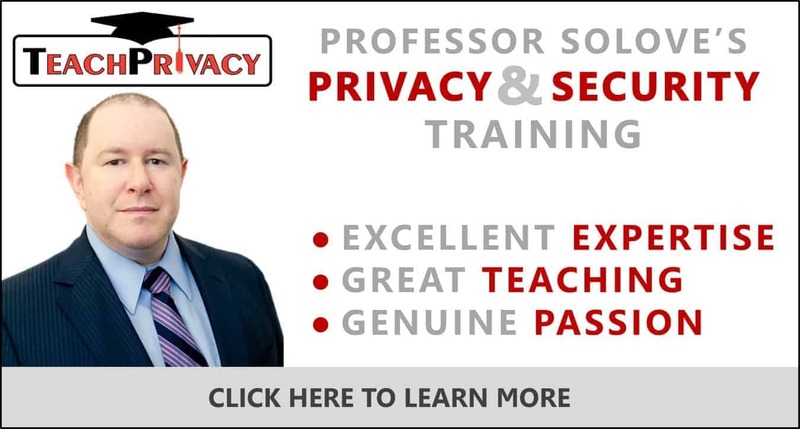 This post was authored by Professor Daniel J. Solove, who through TeachPrivacy develops computer-based training about privacy, data security training, HIPAA, FERPA, and other topics. Professor Solove also posts at his blog at LinkedIn. His blog has more than 1 million followers.